The juice pack made for Galaxy S4 provides enough charge to get you through any busy day at the office or night on the town. Flip the switch when you need a charge and forget about searching for a power outlet in the middle of your day. A smooth finish and pass-through buttons flawlessly blend the design of the case with your Galaxy S4. Designed to keep your phone fully protected and providing up to 80% extra battery, this juice pack is slim enough to easily fit into any pocket or handbag. Four LED lights on the back let you keep tabs on how much power is left in the juice pack battery, and, when charging, will keep you updated on its status. 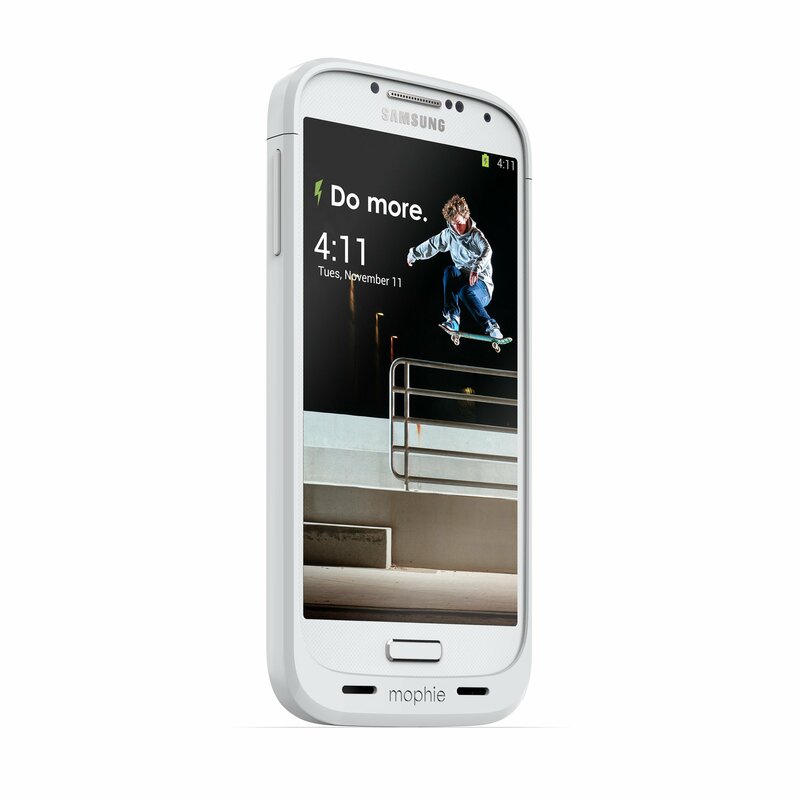 Size: One Size | Color: White | Product Packaging: StandardPackaging Power and protection seamlessly integrated to create the ultimate casesolution for your Samsung Galaxy S4. The 2300mAh battery will provide up to80% extra power with the flip of a switch while the protective hard-shell casekeeps your phone safe from daily wear and tear.